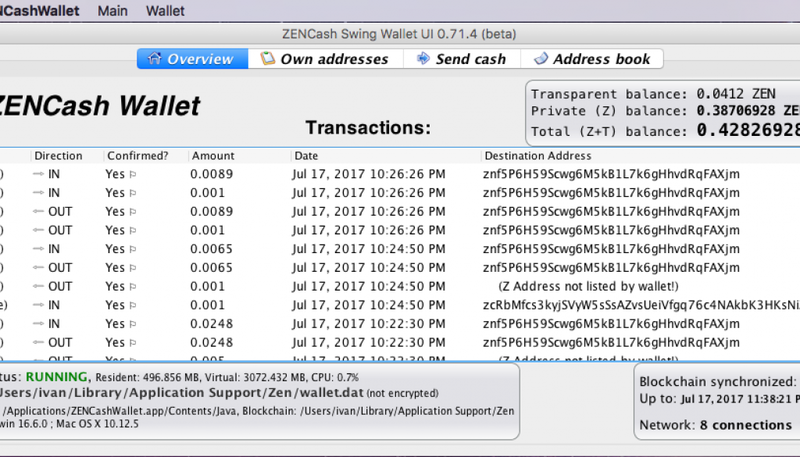 There are now official ZenCash versions of the Swing wallet for Windows, Mac, and Linux! The ZenCash Mac Swing Wallet is a .dmg and includes bundled binaries, so download, install, and run. The ZenCash Windows Swing Wallet is an .exe and includes bundled binaries, so download, install, and run.